Cataloging the profound shift presently taking place within the psyche of humanity, Dr. Ariel points to the fact that we are living in unprecedented times! 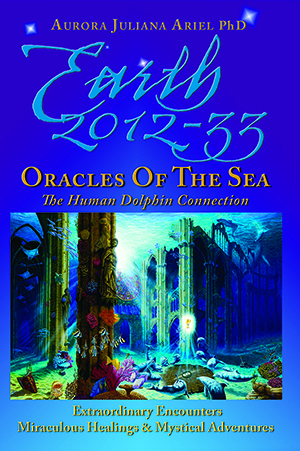 Weaving a blend of sacred prophecies, prophetic visions, and scientific predictions around 2012-33, she unveils a glorious potential that is casting its first rays of light on Earth, illuminating the Dark Night we are presently passing through, and providing a “missing piece” to traversing the challenges of this time. "This book will guide you inward to remember your truth and why you were born at this glorious moment in time!" –Jared Rosen, Author of The Flip: Turn Your World Around"This powerful, practical book will guide you through one of the most challenging periods in our collective history. Read it please!" –Harold H. Bloomfield, M.D., N.Y. Times bestselling author of 19 books. 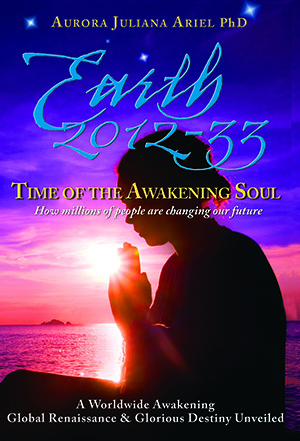 The Earth 2012-33 Saga continues with a Journey into the Miraculous as millions of Awakening Souls alter the course of Earth’s Destiny. Weaving a prophetic vision of an Illumined Future, stories of extraordinary encounters, divine visitations, angelic intervention, healing by dolphins and more, reveal the extraordinary time we are in. In this groundbreaking book, Dr. Aurora Ariel leads us into a glorious future potential that is being initiated by millions of people worldwide. From extraordinary encounters to mystical experiences, a quantum shift is taking place in the psyche of humanity. This book takes us further into the mystical side of our present planetary equation and unveils the mystery behind the Violet People and their unique destiny that could turn the tide at the 11th hour. Awakening to their Authentic Selves, the Earth is being terraformed with the Light Consciousness, a Regenesis that is birthing a New World. 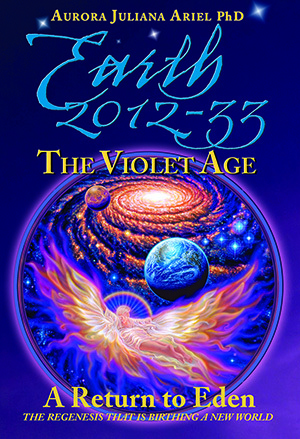 A Dynamic Treatise on the portents of the Violet Age, an epic revelation of the Inner Code of Divinity being activated in Violet People through a host of extraordinary phenomena facilitating the Great Awakening. For the past 33 years, dolphin interactions with humans have increased dramatically, resulting in a host of miraculous stories that include extraordinary encounters, mystical experiences, profound visions, telepathic communications, unexpected healings, life changes, inner transformations, and spiritual awakenings. Amazingly, these experiences are similar to events recorded at the advent of the Golden Age in Greece. This worldwide phenomenon speaks to a critical time in Earth's history, as awakened from normal lives, diverse backgrounds, and belief systems, the thousands of individuals experiencing these encounters share a common bond and responsibility. Weaving the threads of this phenomenon from its most ancient historical significance into the present, we find we are moving into a future that may yet be our most Glorious Age.